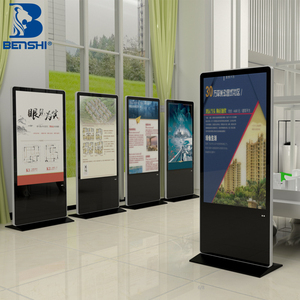 Nowadays, 'Zhizhuo' becomes a well known brand among the wide users in the industries and foreign customer. &hearts; If you want to know more about our products and company, welcome to contact us at any time. Contact us Karida Zhu / Sales engineer Shenzhen Zhizhuo Chuangxin Electronic Technology Co., Ltd Tel. 2.Outer shell is made of extra good quality metal material, which is painted by powder-spray craft work. 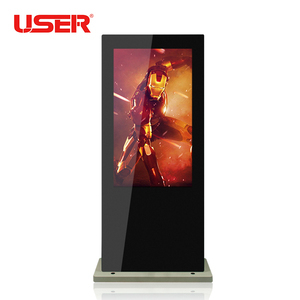 6.Support IR Remote controller, user can use remote controller to operate the whole lcd. 8.Playing circles automatically when powers on . 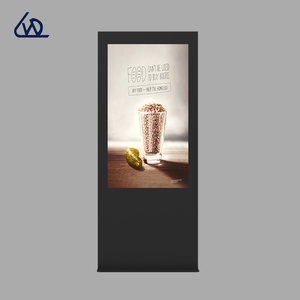 Guangzhou Taror Technology Co., Ltd.
OLED 55inch double sided Floor standing Digital signage is the thinnest and lightest in the world. 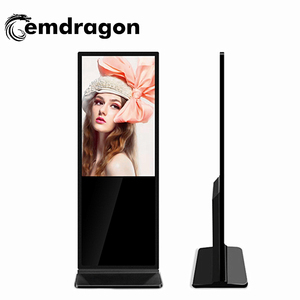 Guangzhou Yiming Electronic Technology Co., Ltd.
Alibaba.com offers 17,724 floor stand digital signage products. About 90% of these are advertising players, 1% are advertising screens, and 1% are electronic signs. 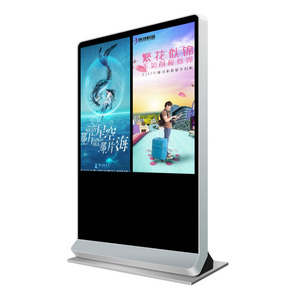 There are 17,794 floor stand digital signage suppliers, mainly located in Asia. 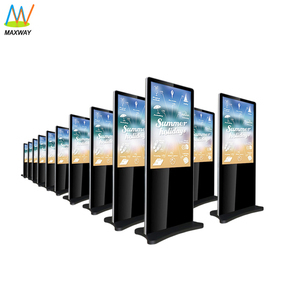 The top supplying countries are China (Mainland), Hong Kong, and South Korea, which supply 99%, 1%, and 1% of floor stand digital signage respectively. You can ensure product safety by selecting from certified suppliers, including 7,286 with ISO9001, 2,077 with Other, and 1,130 with ISO14001 certification.